Living in Ghana "Let's Rise Again-ABABIO"
Living in Ghana--"Let's Rise Again-ABABIO"
Watch the Video Playlist "Africa The Supernatural And Beyond" from blogtalkradio Show "Gnosis Kardia"
ABABIO-In the Akhan language of Ghana West Africa means one who has gone and has returned. "Let's Rise Again-ABABIO" performance series was produced to share some of my observations and thoughts (as an African American) on my 10 year experience of living in Ghana West Africa. 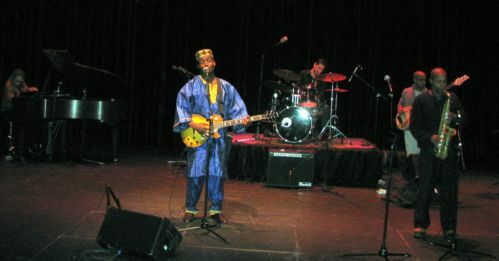 The performance series was largely funded by MCAI The Multicultural Arts Initiative based in Pittsburgh. We also received wonderful support from BDPA-PGH, Jamil's Global Village, Soul Pitt and Afrika Yetu. We thank you for your wonderful support. 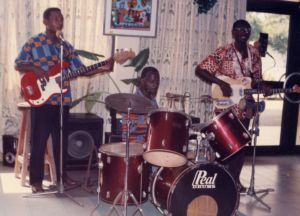 This musical performance series featured some of my original songs written while in Ghana along with cover songs by other African/African American and Carribean artists. The genres of music included Jazz, R&B,Reggae and what would be considered gospel. The message conveyed through the performances was relevant for all peoples and particularly to us African Americans who are suffering from particular issues that are keeping us down as a whole. The message of the songs I performed were of a spiritual nature without using a "religious" message: We as African people have hope and can rise again if we once again reunite and redevelop a close relationship with our original source of strength and blessings which is our Creator and Maker. When we Concentrate more on what we can do for ourselves and seriously importune our Creator for help, we can begin to change our destiny. ...We can't blame them totally, for ourselves we must take full responsibility. My thoughts are even though we need to know what happened in our past (very important), why not focus on what we can do to improve ourselves, and the other will take care of itself. Our destiny is in our own hands...this was one of the lessons I learned from my experience of living in Ghana. What do you think? You are welcome to share your comments below.